Browse: Home / Cold origin of land plants? Cold origin of land plants? Glacial ice algae (genera Mesotaenium, Ancylonema and Cylindrocystis) have recently received research interest due to their basal position among the Zygnematophyceae. At the same time, recent analysis now places the deep evolutionary splits among the streptophytes into the Cryogenian period (200-300 Myr before the first known fossil record of land plants existence). These two findings make the extant algal communities on the bare ice of glaciers and ice sheets a promising target for research into the origin of land plants. 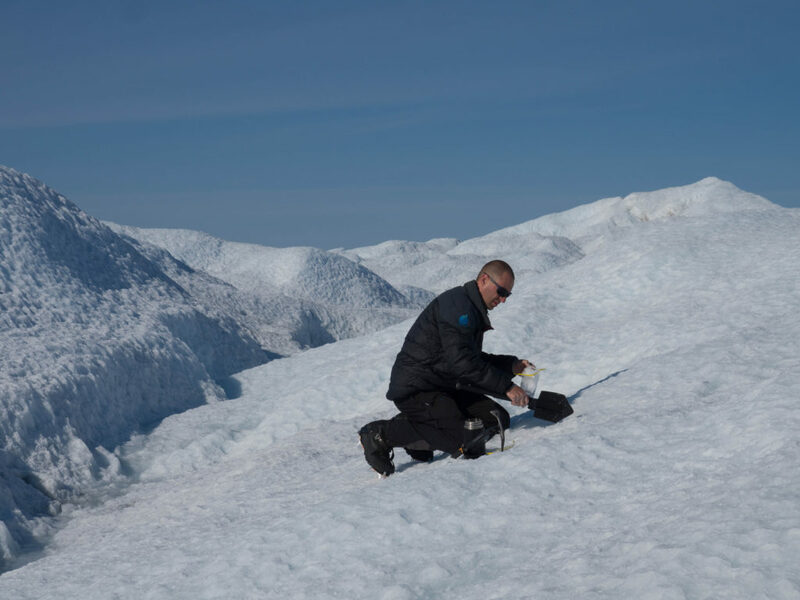 The aim of this project is to study the life history and ecology of glacial ice algae in order to get an insight into a system that probably represents an analogy to the most frequent aquatic habitat in the Cryogenian – the melting surface of glaciers. Glacial ice algae are famously difficult to culture. We therefore investigate the population diversity mainly on the molecular level using the environmental DNA (eDNA) extracted from an algal bloom on the Greenland ice sheet (GrIS), thus bypassing the need of pure cultures for genomic and/or transcriptomic data acquisition. However, we do not give up and keep on running incubation experiments and test various cultivation strategies. This research is supported by the Charles University Grant Agency (GAUK) grant No. 279715 to Jakub, and registered with Research in Svalbard as CRYOTER (RiS #10540).